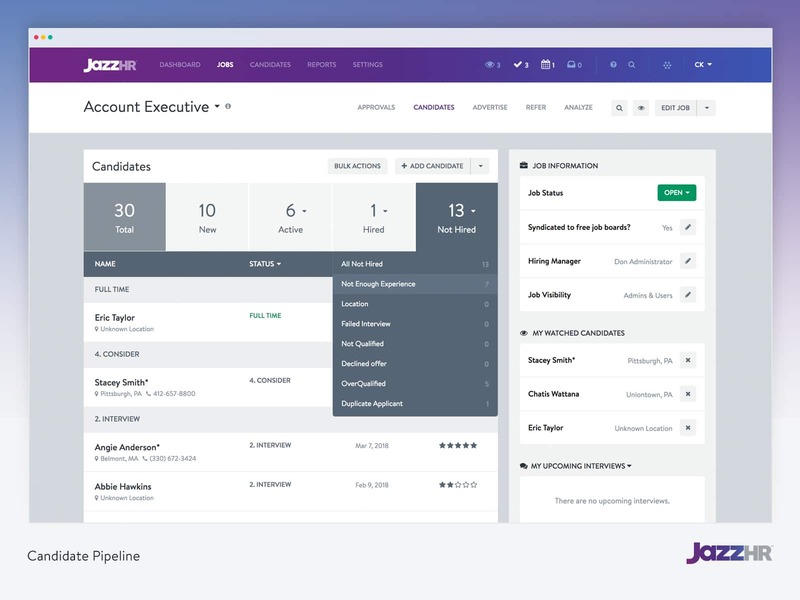 JazzHR is powerful, user-friendly, and affordable recruiting software that is purpose-built to help growing companies exceed their recruiting goals. 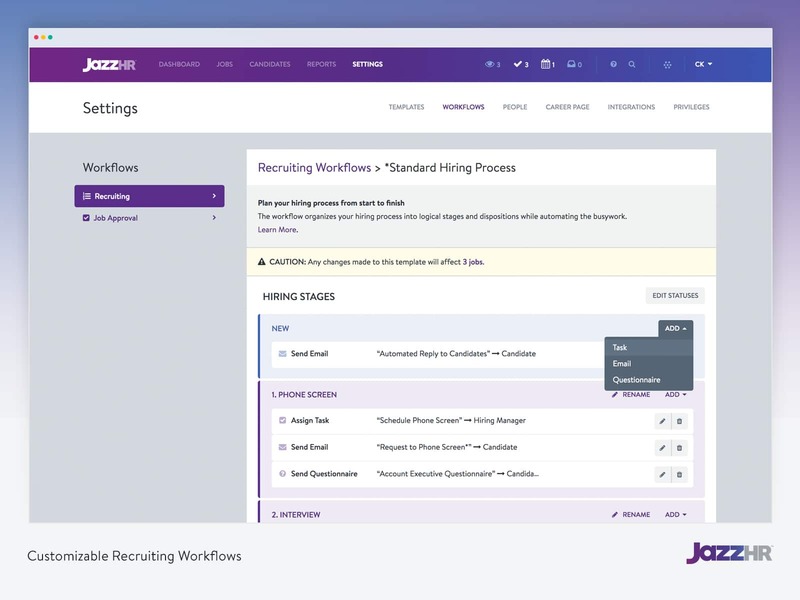 JazzHR’s best-in-class software replaces time-consuming and manual hiring tasks with intuitive software designed to help recruiters and hiring managers recruit, and hire the right talent, fast. 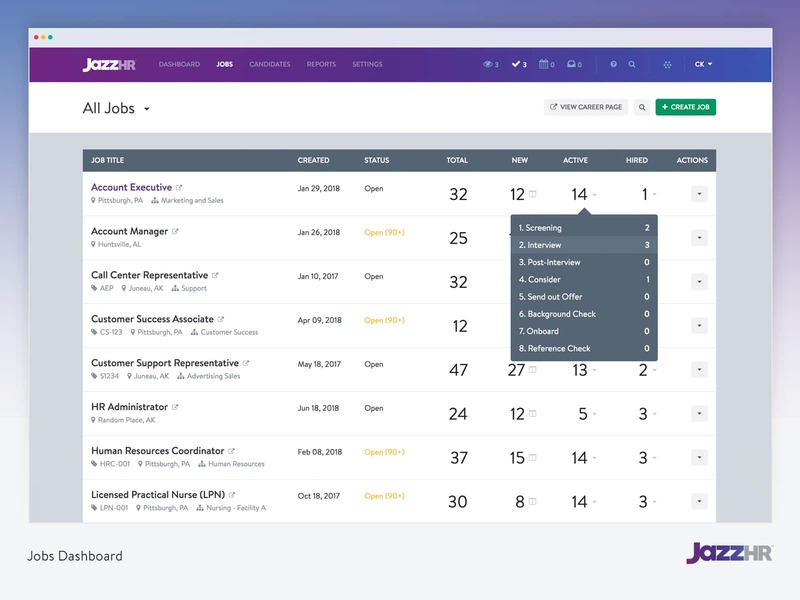 Since 2009, JazzHR has raised the bar in the recruiting software industry, with many of our innovations becoming industry-standard. 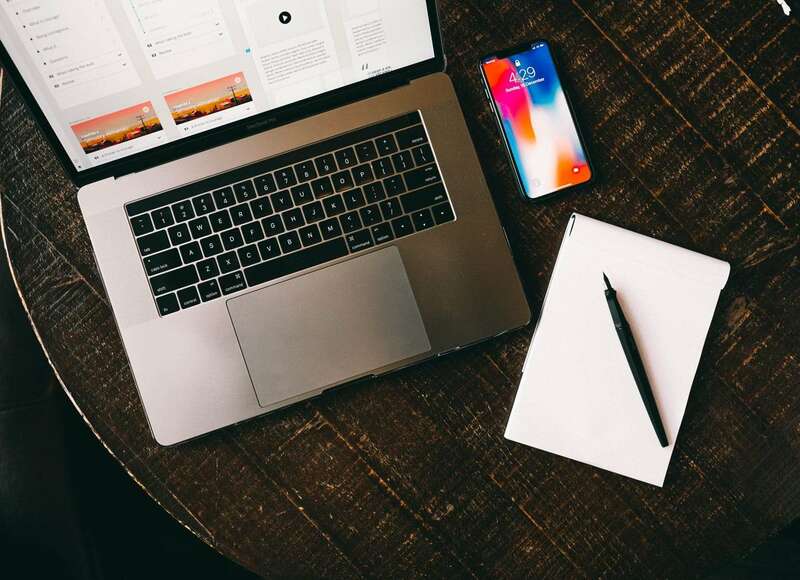 We’re the first company to put powerful, yet easy-to-use recruiting software in the hands of startups, growing companies, and even presidential campaigns. 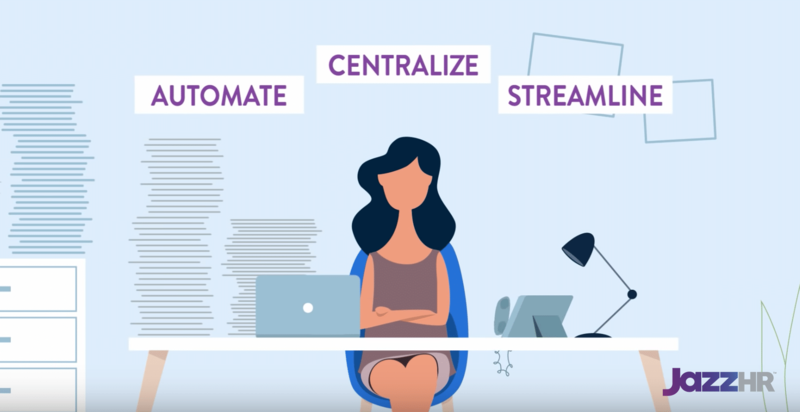 Our intuitive applicant tracking solution has helped over 15,000 SMB companies process more than 15 million resumes and fill over 200,000 jobs. JazzHR has offices in Pittsburgh, PA and Waltham, MA. The company has been the recipient of a series of prominent awards. Named an Inc. 5000 company in 2017 for the second consecutive year, JazzHR continues to be recognized for its accelerated growth and human capital management solutions. Along with being named 2017’s Best Human Capital – Talent Management Solution in the 32nd annual SIIA CODiE Awards, JazzHR was recently ranked the No. 1 most user-friendly Applicant Tracking Software by Capterra. JazzHR helps Acuity clients transform their business with applicant tracking system software designed especially for them. Learn how JazzHR can help your business. Get started with JazzHR + Acuity today.